*Including shadow banking, corporate bonds, and equity finance. Chinese second-quarter growth is out and—lo and behold—it came in exactly as predicted at 6.7%, a hair lower than the first quarter’s 6.8%. Implausibly smooth headline growth aside, a relatively strong second quarter isn’t surprising: Exports have held up well despite the trade fracas, and domestic industry benefited from the end of winter pollution controls in March. The thing to watch is the steep slowdown in investment: For the first half of 2018, overall investment growth was up just 6% from a year earlier, a post-1990s low. Real growth is even slower, because the nominal headline figure is being flattered by a land-price bubble. 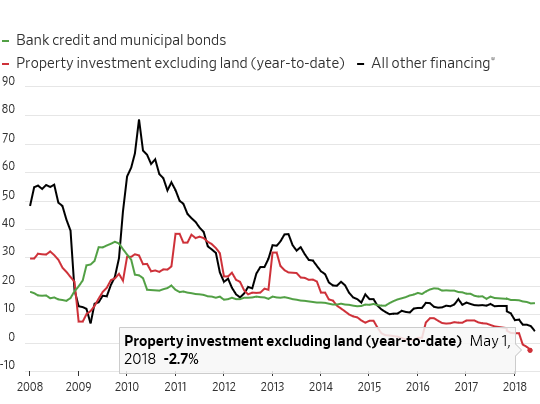 There are increasing signs that the critical real-estate sector—which often drives the overall trend in corporate profits—has become collateral damage of China’s crackdown on shadow banking. Shadow-banking credit outstanding, still growing at close to 10% in January, was down marginally in June from a year earlier, central bank numbers show. 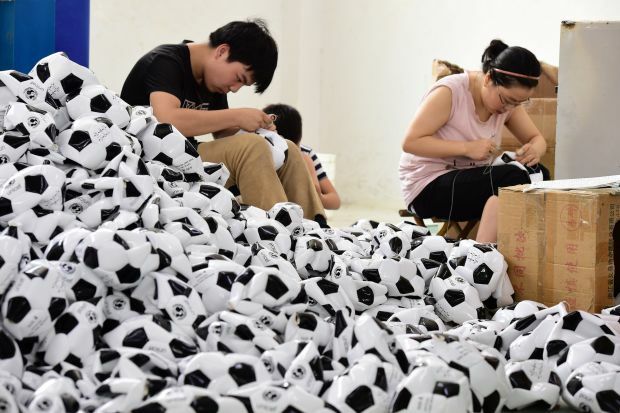 Small businesses are also feeling the heat: After an uptick in mid 2017, the purchasing managers’ indexes for China’s small and midsize manufacturers are now both in contraction. China’s central bank has already begun cautiously loosening the screws. Following two reductions in the cash reserves banks must keep on hand, the key short-term borrowing rate has fallen around 0.2 percentage point since April, while the banking regulator has reportedly asked banks to “significantly” reduce small-business lending rates. To ensure that deposit-starved small banks have sufficient cash for lending, more steps to push down interbank rates—including further reserve-ratio cuts and potentially cheaper loans from central-bank lending facilities—are likely in the months ahead. With a trade war gathering and a corporate-bond selloff still gaining pace, such steps are probably necessary—but they risk undermining both the yuan and the regulatory push to make small banks less dependent on risky interbank borrowing. A trickier second half now looks baked in the cake for China.